The G11 is basically the same as the company's G15, but without the LCD panel. It's also roughly £30 cheaper if you shop around. 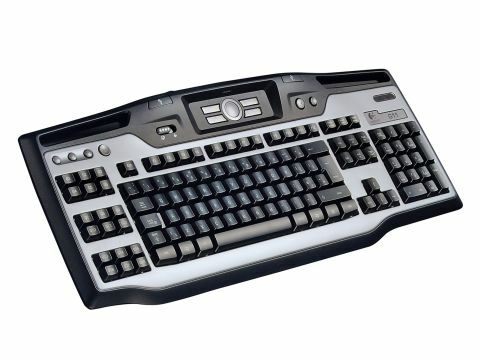 It features the same suite of 56 bindable macro keys, Soho-grade electric blue Lighting, and a 'gaming mode' which locks out all XP-based functions (like Sticky Keys - ugh!) so you don't get interrupted mid-shootout. In fact, the only thing the G11 hasn't inherited from the G15 that we'd actually quite like to be here is the rubberised matte black finish.